This vast and untamed land offers a varied safari holiday across the broad and flat expanse of savannah, desert, salt pan and wetland. The Kalahari Desert makes up more than 80% of this landlocked country. The vast sponge into which the swollen Okavango River disappears each year creates the largest inland delta in the world - the Okavango Delta. In the northwest Of Botswana, lies Chobe National Park, home to the largest population of elephants in the world. Tranquil or wild and untamed? 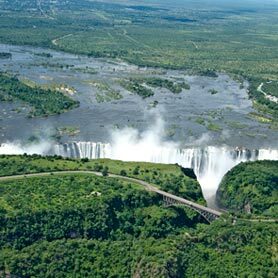 These majestic rivers in Botswana and Zambia offer incredible scenery along with the wildlife that frequent them. 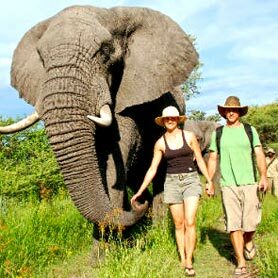 Experience the magic of the Okavango Delta and the wildlife that frequents it as well the huge elephant population of the Chobe. Always dreamed of getting up close to elephants? Now you can with this itinerary that combines our unique elephant interaction. The Okavango Delta, the largest inland delta in the world, supports a rich and colourful wildlife. 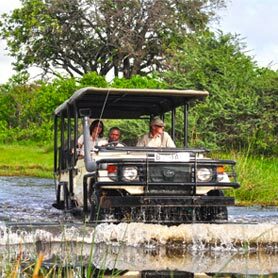 This safari package includes stays at two tented camps in the Okavango Delta, as well as a luxury lodge in Chobe with a full spa. 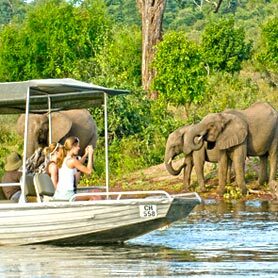 This vast and untamed land offers a varied safari holiday across the broad and flat expanse of savannah. 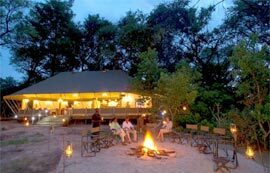 This camp is located on a huge private concession bordering the Moremi Game Reserve, set in a grove of trees. 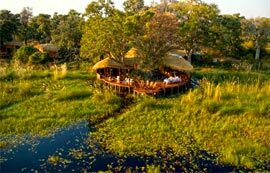 The camp is located on Chief's Island, one of the many islands created by the seasonal floodwaters of the Okavango. 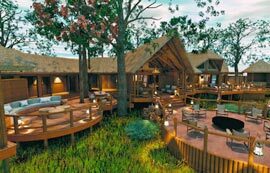 A great deal of thought has gone into making Sanctuary Chobe Chilwero a luxurious riverside retreat in the heart of the bush. 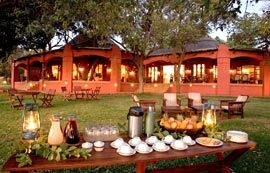 Sanctuary Stanley's Camp is a classic tented camp, located on a huge private concession with only eight guest tents.